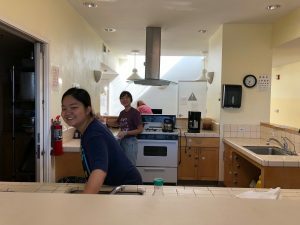 We had another wonderful group of volunteers at the beginning of June come give our North County Women’s Center a much needed spring (summer!) cleaning. The group was organized by our longtime community partner, Project Peace East Bay. 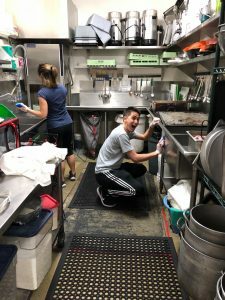 They put on regular “Day’s of Service” where local faith-based groups and community members volunteer at East Bay social service providers, tackling their needs to support the work they do in education, homelessness, youth development, and more. We are honored and grateful to be a recipient of this good work!